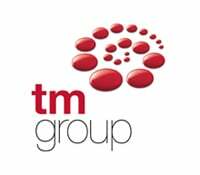 TM Group has announced a programme of regional conveyancing CPD sessions around the UK, featuring a range of expert industry speakers. Entitled ‘Driving & Adapting to Change’, the series of five regional events showcases content from TM Group’s national conveyancing conference of the same name, that took place in April 2015 at RIBA in central London. The conference in April formed part of TM Group’s continuing commitment to conveyancers’ professional development and was particularly well received, with more than 96% of delegates stating that they would recommend the training to a friend or colleague. Now being brought to conveyancers in five different regions, each event focuses on the small changes that conveyancers can make that will have a big impact on their businesses. 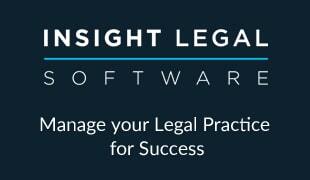 The expert guest speakers are charged with providing three useful tips in quick-fire sessions designed to help time-poor conveyancers get the most out of their CPD sessions. Comprising two different approaches to managing the constantly-evolving property transaction, the format also helps shed light onto the inherent risks and opportunities in a conveyance. The first session seeks to inform conveyancers how they can adapt to changes in legislation, continue to satisfy the ever increasing demands of the consumer and remain responsive to new risks as they present themselves. In the second session, the speakers will show conveyancers how they can take a more proactive approach to change by embracing new ideas and technology to get ahead of the competition. This session will include talks on reputation management, new business conversion, and attracting and retaining the best conveyancing talent. One of the unique aspects of these events is that each one will feature interactive roundtables to be held at the end of both sessions. The roundtables offer delegates the chance to build upon the speakers’ talks, gaining a better understanding of the issues and having a platform to exchange views and experiences with their peers. Expert speakers from across the property industry include: Ray Fox (Bottom Line Consultancy), Nicky Stevenson (Property Academy), Victor Olowe (Winzest Consulting), Chris Harris (Today’s Conveyancer), Clare Yates (Lifetime Legal) and more.